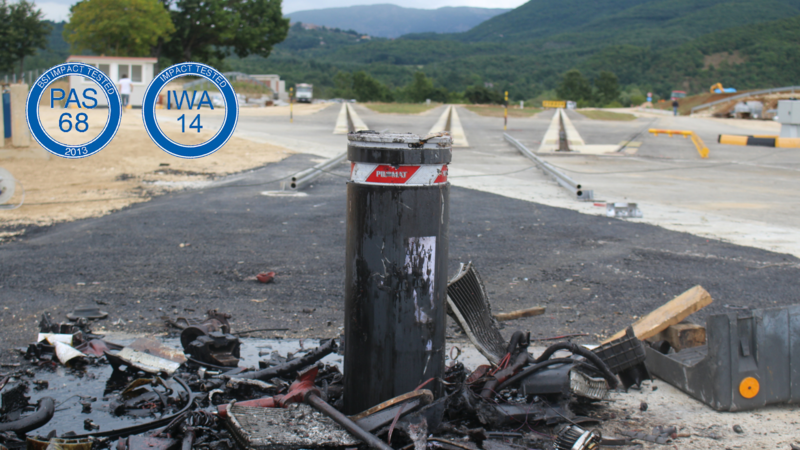 Pilomat are very pleased to announce that our 275/K4-900A automatic bollard has been successfully crash rated. Our bollard was hit with a 7.5 tons truck travelling at 48 kph, thus fulfilling the standards of the latest international agreement IWA:2014. For a complete bollard system many optional articles are available, ranging from safety devices to the access control solutions. Perfect for application where high security products are needed, or sites requiring products easy to install and maintain.